Mainly used for control of inlet bypass in water treatment systems. 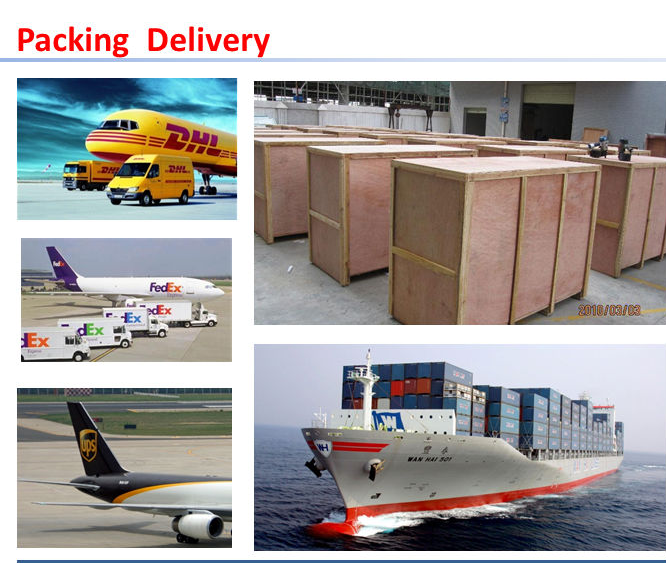 Suitable for supporting RUNXIN F63, F68, F82, etc. When the soft water system needs to be repaired, the bypass function of the bypass valve can be used to replenish the water outlet with untreated raw water. 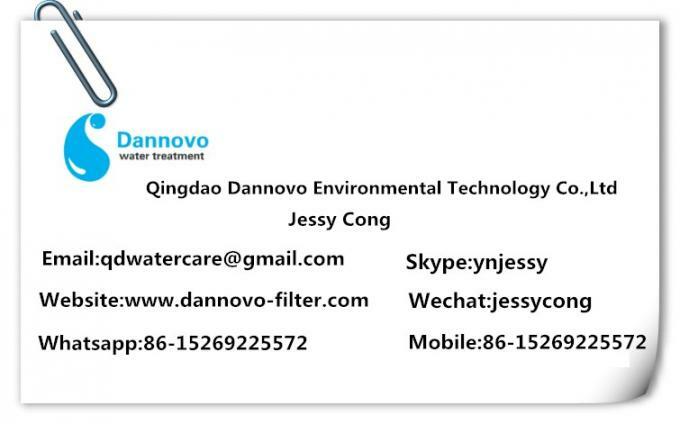 When used in household soft water systems, because the soft water is not suitable for drinking, some of the raw water can be directly discharged from the water outlet without softening by the bypass valve, and mixed with soft water to increase the hardness of the water. 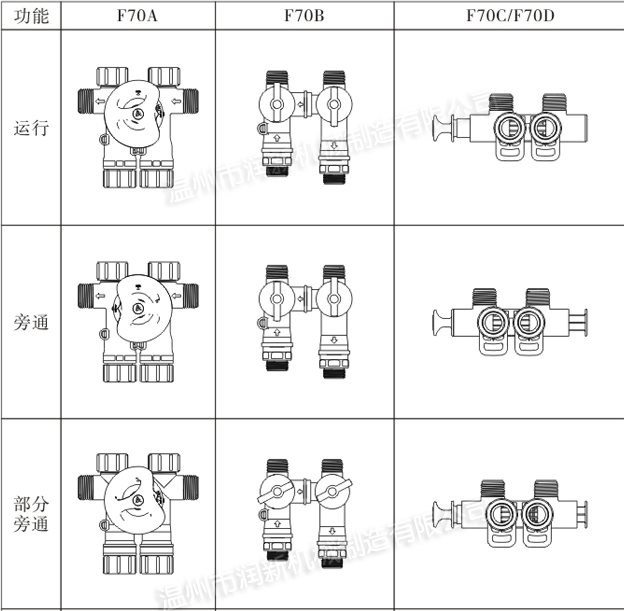 F70A/F70B adopts high flatness, corrosion-resistant end face seals to open and close, reliable sealing, set operation, close, bypass, partial bypass and other functions in one. 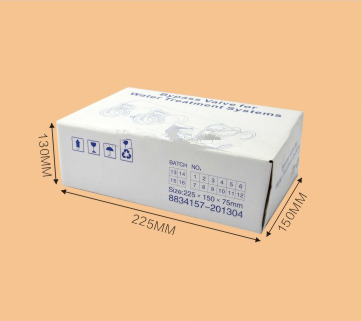 Can be rotated or pulled directly to achieve bypass, partial bypass, softening operation. 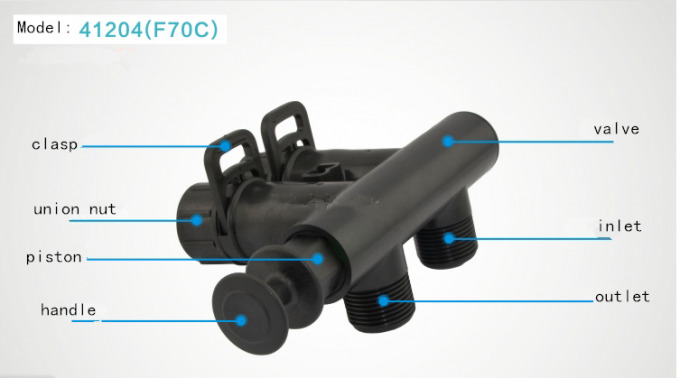 For the bypass valve of F70A/F70B/F70C, a built-in flow meter can be built, and the control valve is composed of a flow-type control valve with bypass. 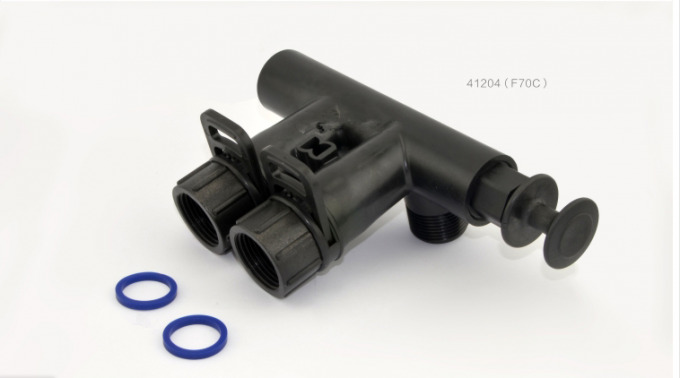 For the F70A, each has two 90° inlets and outlets, which can be connected according to the needs of the inlet and outlet pipes. 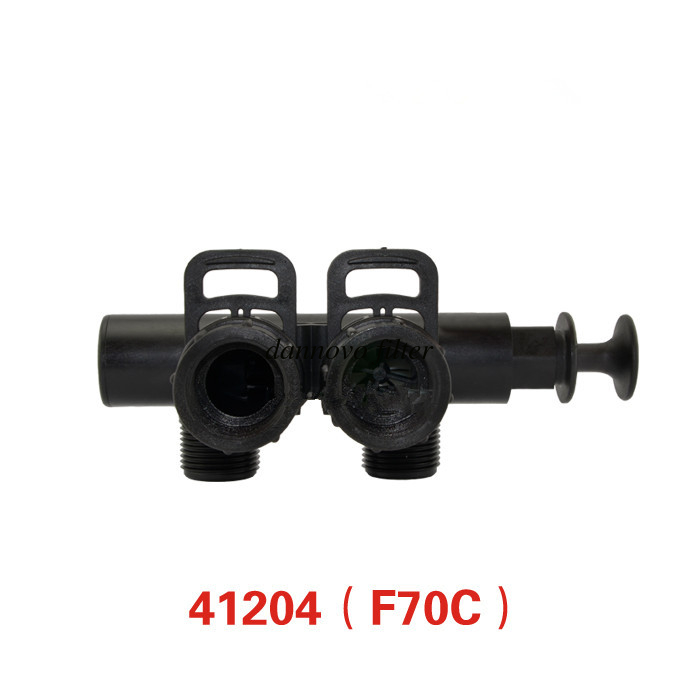 For F70C/F70D, there are two kinds of BSPP and NPT for the inlet and outlet threads.